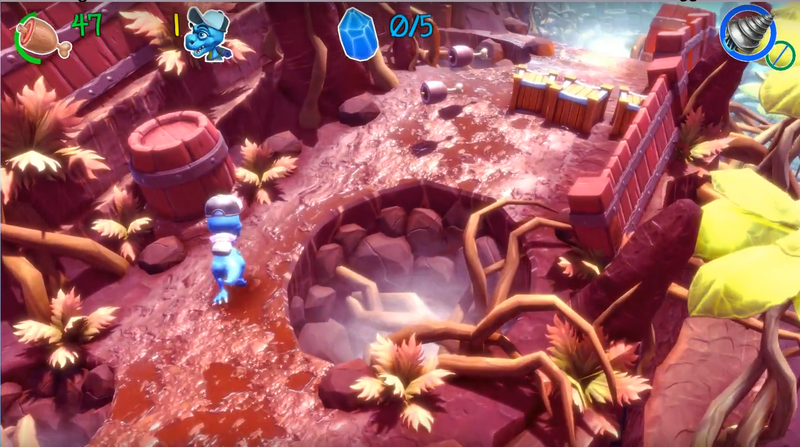 Tiny Hands Adventure is a charming little romp of a platformer from Blue Sunset Games. What did we think of Borti’s debut adventure for bigger hands? Free Product provided generously by Blue Sunset Games! Tiny Hands Adventure is a game that manages to evoke its reference material and present some new ideas to forge a unique identity. What you ultimately get is a solid experience full of charm and unique ideas, but nothing truly stellar. Good, but not super amazing. Tiny Hands Adventure is actually a quite attractive game with a lot of variety. Tiny Hands Adventure is a very charming game. Not confined the dinosaur appropriate locales, the games has you climb lighthouses, traverse swamps, top-down view mazes, inter-dimensional stairways and even a comic book. 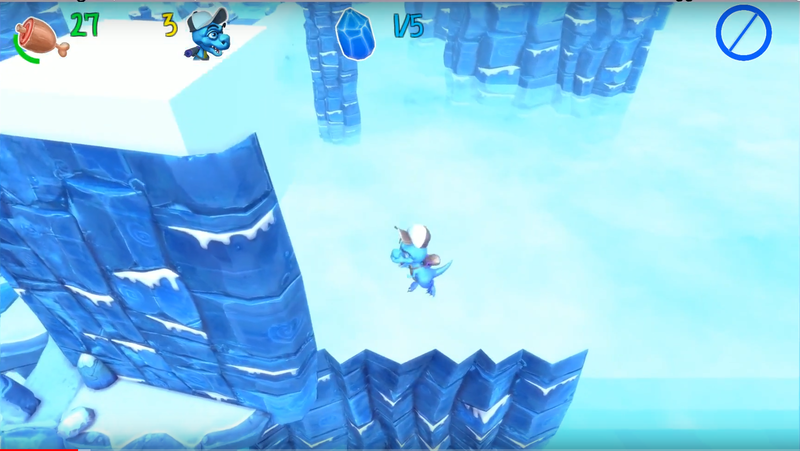 While it may seem to be a visual mismatch, the game maintains its identity even though different settings. On PC the game runs perfectly fine. No issues with resolution of frame rate, that I can see. On Nintendo Switch, I cannot say, but it stands to a reason a fairly simple game should have no issues. Sometimes the worlds may look a little empty or flat, and the text certainly isn’t as refined or well implemented as it could be, but it’s functional. Everything is appropriate and accounted for. I also have to say, the soundtrack is really good. Not a dull track in there, a good range of styles and lively beats. Tiny Hands Adventure is a very nice feeling game in the hand. 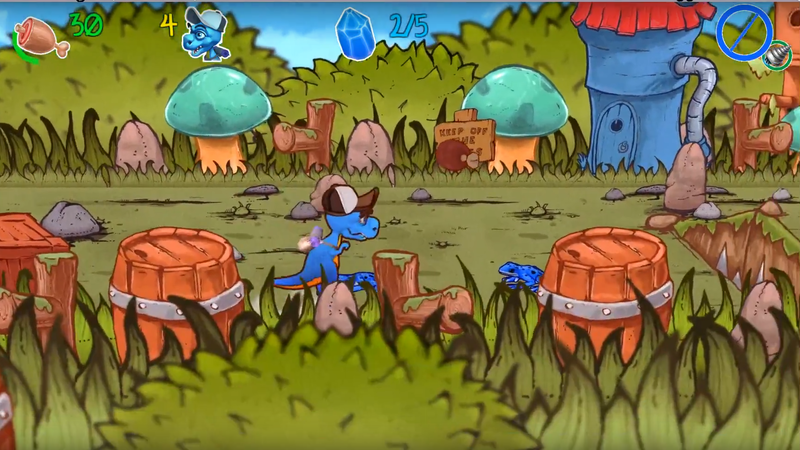 Gameplay in Tiny Hands Adventure is simple. Progress through each stage in a tier, in what order you desire, grab the main collectible and finish the stage. When all 4 collectibles are assembled you can take on the boss. Boss battles are perhaps the weakest aspect of the game as a whole, lacking feedback to being hit and at times either being too long for a fight that has no checkpoints, or being simply a waiting and dodging exercise. They aren’t bad, but some fine tuning would have been nice. Beating a boss awards you a “Hand”, an extension of Borti’s standard tail whip. These include a drill, plastic grab hand that doubles as a wider spin, and grappling arms. Each of these are used in various stages, some even requiring repeat visits later in the game. Beyond this though, they feel under-utilised, but give Borti more to do as the game progresses. Strikingly, the game encourages repeat visits to stages by offering 5 collectible crystals. Some require certain Hands, so making note of the different environmental situations is key. Collecting all five unlocks the harder version of a stage, with a single white crystal to collect, for 100% completion and rewards. This is a simple but effective way of improving replay value, and while the game isn’t too difficult, the harder stages are definitely where the greatest challenge lies. Borti himself however, is a joy to control. His weight feels right and his movement, even when using a controller on PC, feels smooth. There were very few times I felt like a death was the fault of the game, and rather my own judgement. He has a wide range of moves including a spin and slide, so he comes well equipped, though these feel under utilised until later, as the level design is often rather basic and doesn’t require much use of these advanced moves. This release is by no means flawless. As a smaller title errors do slip through. Sometimes you may find something isn’t quite solid, or a hitbox is a little misaligned on some spikes. Regardless, the game still manages to be fun. The aforementioned issues with boss battles stands out as a real low point, as does the lack of enemy interaction, instead acting as stationary obstacles. The game could perhaps come off as boring to some with its relative ease and simplicity, but to others this may be a positive. That is for the individual to decide. Finally, and this is a purely personal problem, the explosive boxes in the game aren’t distinguishable enough from their standard counterparts, with the explosive graphic only appearing on some sides and the colour (Because I’m colour blind) being near identical. Tiny Hands Adventure is a game that occupies the same space as Sonic 1 and Crash Bandicoot in my mind: A solid foundation. 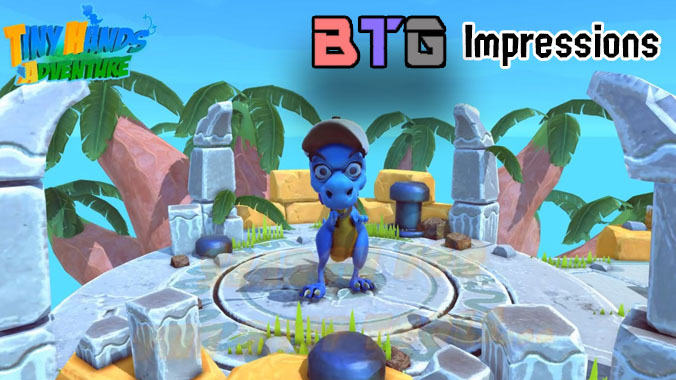 With that said, I can recommend the game to platforming fans, and the concept of a T-Rex looking to expand his reach is ripe for picking. I can only hope like the aforementioned examples, a potential sequel to this game would take the concept and run with it, with crazier worlds and more varied and useful Hand upgrades to Borti. The concept has a lot of promise. Thanks for reading everyone, and don’t forget to share what you think of on social media or try it out for yourself, on Steam or Nintendo Switch. Until next time, Happy Gaming! Next NL Inklings Community: Our September 2018 Tournament Schedule!